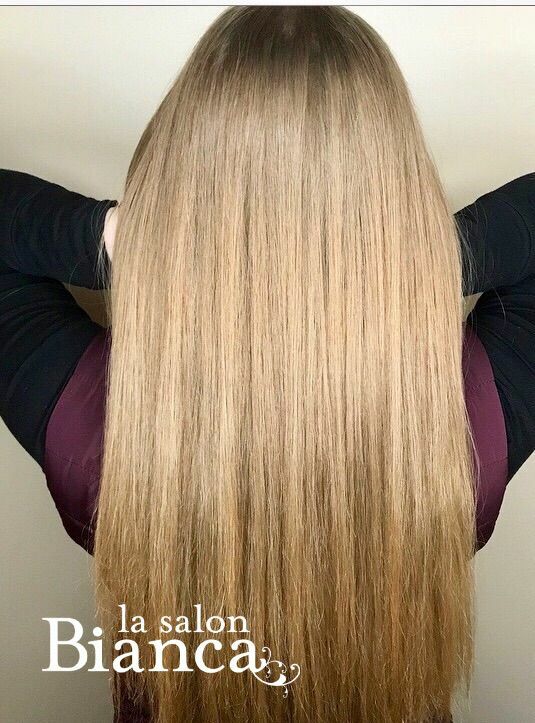 Our Assistant stylist Julia gave her curly client a Keratin Complex Express Blowout in order to help reduce frizz, add shine & smooth out the cuticle of the hair! Her clients hair will dry faster and have a reduced curl pattern! Talk to your stylist to know if this treatment is right for you!